Readers of my earlier Financial Poise articles may remember this: I am a rare breed, a value investor who also loves to talk venture capital value. Seems strange? I’ll explain. Consider these venture capital stats: Only about 20% of venture capital deals make money. The other 80% lose usually their entire investments. On average, though, venture capital returns beat traditional stocks and bonds by a lot. That is because some deals generate huge returns. If you diversify your venture capital investment dollars sufficiently, you have a reasonable chance at enjoying rich returns. Let’s go a step further. Your odds should be even better if you focus on the value segment of the venture capital market. There is a value segment in venture capital like in the public stock market. The same value principle — buy low, then sell high — works in venture capital value too. There is a value segment in venture capital like in the public stock market. Of course, you’ll miss out on today’s hot unicorns (ventures valued at $1 billion or more) that convey the greatest bragging rights. Yes, it is fun to tell friends that you’re invested in ventures like Uber, Airbnb, SpaceX, WeWork, and Credit Karma. But, do they have much opportunity for share price growth beyond where they are today? Take Uber as an example. According to CBInsights, Uber’s valuation is $68 billion. Yet, most of Softbank’s publicized recent investment in Uber consisted of purchasing shares from existing shareholders at a discounted valuation of $48 billion. I suspect those existing shareholders were VERY happy. But I’ll bet that investors in late Uber rounds at higher valuations were not. I wouldn’t buy Uber at a $48 billion valuation either. CNN reported that Uber’s loss jumped to $4.5 billion in 2017, up from $2.8 billion in 2016. Will its profit ever reach levels justifying those lofty valuations? I’d ask the same question about many of today’s high-flying unicorns. They may already be (or will later become) profitable, sustainable businesses. I’d still expect their valuations to retreat to more defensible levels. Early investors should still be pleased with their ultimate share liquidations, but late round investors may feel burned by the inflated share prices they paid. Venture capital value instincts have taken some savvy investors to the Midwest. That is far from the Silicon Valley investor herd or the wealth concentration in the Boston-to-DC megalopolis. Most venture capital investors haven’t thought much about the Midwest. That is understandable. The tech industry flourished first in California’s Silicon Valley and the Boston metro area. Midwesterners tend to be more conservative. That can be a good investor trait. It is especially good now, as Midwestern entrepreneurs are proving themselves to be as innovative and effective as their counterparts in the traditional venture capital hotbeds. As expected, number of deals is highest by far in the West (primarily California), next highest in the Northeast, and lowest in the Midwest. Venture capital activity came later to the more conservative Midwest. But it is growing now. Median total equity funding per venture before exit has been highest in the West, next highest in the Northeast, and lowest by far in the Midwest. The Midwest’s lower funding reflects the law of supply and demand (in this case demand). Midwestern investors appear to be more conservative and investors elsewhere don’t appear to have been thinking much about Midwestern opportunities either. Midwestern ventures’ lower funding also reflects Midwestern managements’ practicality and frugality. Those are great management traits for investors. Despite the lower equity funding per venture in the Midwest, median exit valuation has been highest in the region. This reflects high-quality ventures emerging from the genius of Midwestern entrepreneurs. Those ventures have been able to capitalize on their appeal to acquirers across a broad range of industries. This means you can enjoy better returns on your startup investments in the Midwest than in other regions – buy low, sell high. That’s value investing in venture capital. Rowley then took a further analytic step. He excluded companies with just one recorded round of venture funding. This eliminated some unusual “high-flyers” that affected regional differences disproportionately, providing a more conservative comparison. That reduced the Midwest’s margin of advantage, but the Midwest still continued to display the highest return multiples. The Midwest’s 5.17 median return multiple was 20% greater than the median return multiple in the West and 33% greater than in the Northeast. That is a home run for savvy investors. Rowley went one step further, comparing exit multiples by metro area. To ensure large enough sample sizes by metro area, he went back to including companies with only one round of venture funding as long as reasonably complete funding histories (e.g. including earlier angel funding) were also available. 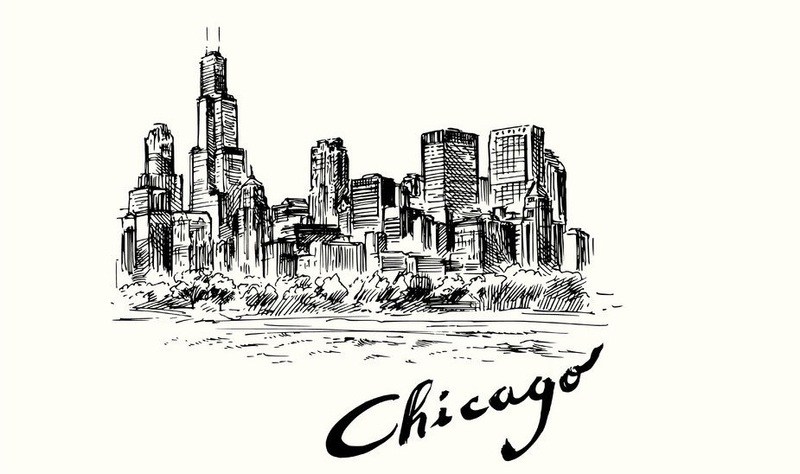 The unofficial “capital” of the Midwest, Chicago, came out on top. Cleversafe, a data storage tech innovator acquired by IBM in late 2015 for $1.3 billion, contributed to Chicago’s win. IBM acquired this data storage technology innovator in late 2015 for $1.3 billion. After a late start, the Midwest is catching up. A fellow Midwest-focused venture capital firm, Drive Capital, captured on their website a couple of years ago some key causal factors behind the Midwest’s venture potential and value orientation. This is summarized below. The Midwest has what it takes to create winning ventures. Far fewer investment dollars chasing these ventures means better investor value. Strategic adviser to high tech venture capital firm, VCapital, following career as CEO-level consumer products/marketing services executive. Co-author of book to be published in summer of 2017, Building Wealth Through Venture Capital: A Practical Guide for Investors and the Entrepreneurs They Fund.